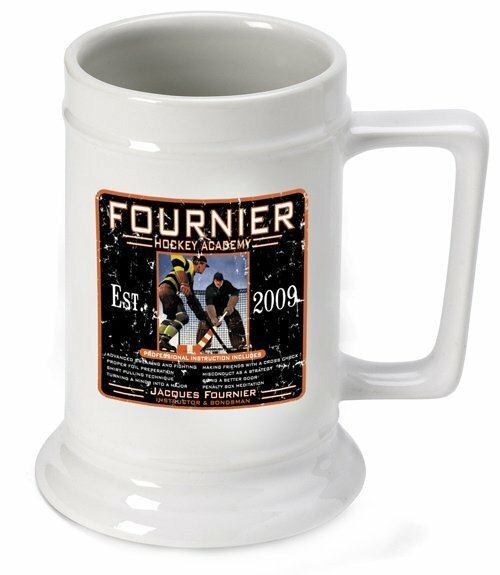 Ice hockey coaches and avid players will be crazy about our hockey academy beer stein, which includes an old-fashioned image and a hilarious list of hockey instructional tactics that will make any player or fan chuckle. Perfect for any hockey fan, this personalized coaster set includes the name of the appointed "instructor and bondsman". 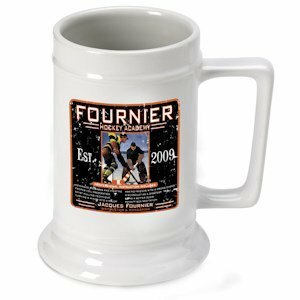 Each personalized white ceramic mug holds 16 ounces of their favorite beverage and is personalized with first and last name and established year.